I’m Rachel Whynot. Yes, that’s my real last name, inherited from my husband, and also my motto in life! 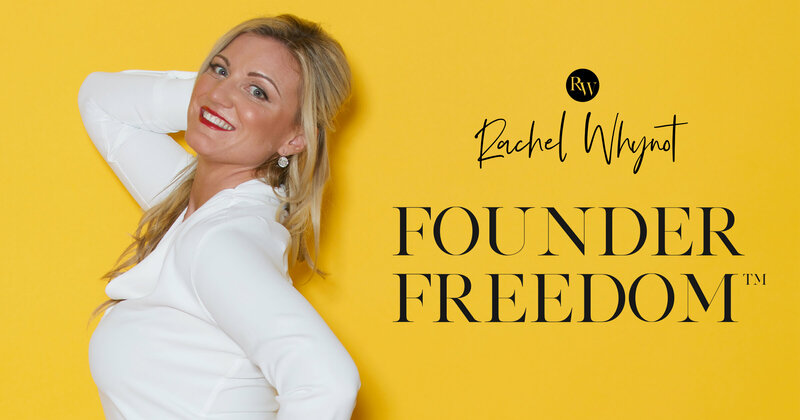 I am the Founder & CEO of FOUNDER FREEDOM™, the first EVER entrepreneur coaching platform that combine’s business & marketing strategy and mentorship with “feel good practices” for the body, mind and soul. My true passion in life is to coach and mentor entrepreneurs all over the world! I love being a business success coach & marketing mentor for entrepreneurs who want to become freedompreneurs. As freedompreneurs, we love to travel, and enjoy new life experiences wherever we go. We get inspired and take action in our every day business and personal lives. We LOVE to live and work freely from anywhere in the world! Do you want to live and work freely with a wildly successful business, that you can automate online (AKA, save you TIME), and will make your family and friends proud? Imagine running your DREAM business while you are at home taking care of the kids, or shamelessly travelling the world. IS THIS what you want? And I think you’re here for a reason, which is why I want to help you now! If I did it, I know you can too. At FOUNDER FREEDOM,™ our #1 mission is to inspire, teach and serve entrepreneurs! This is our way of making an impact in the world and these core values make our client success management TOP RANKED for our entrepreneur coaching and mentorship platform. This is what we live for and we won’t stop until YOU live and work freely, as a happy and powerful entrepreneur. We genuinely want your success just as much as you do. That’s what makes OUR dreams come true. Featured on Global Morning show promoting agency business with business partner. Featured on GlobalNews radio talking about being a millennial entrepreneur. Skip to 22:50 for Rachel’s interview!